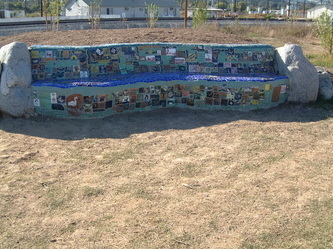 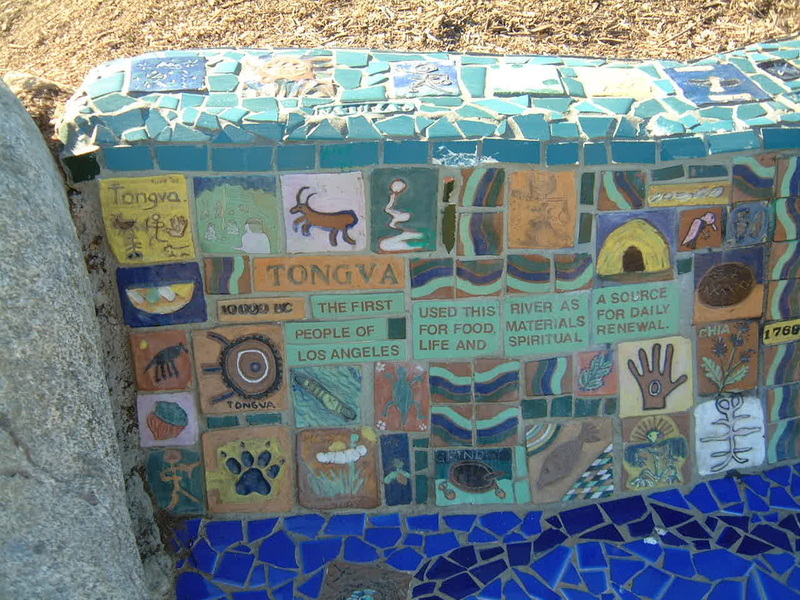 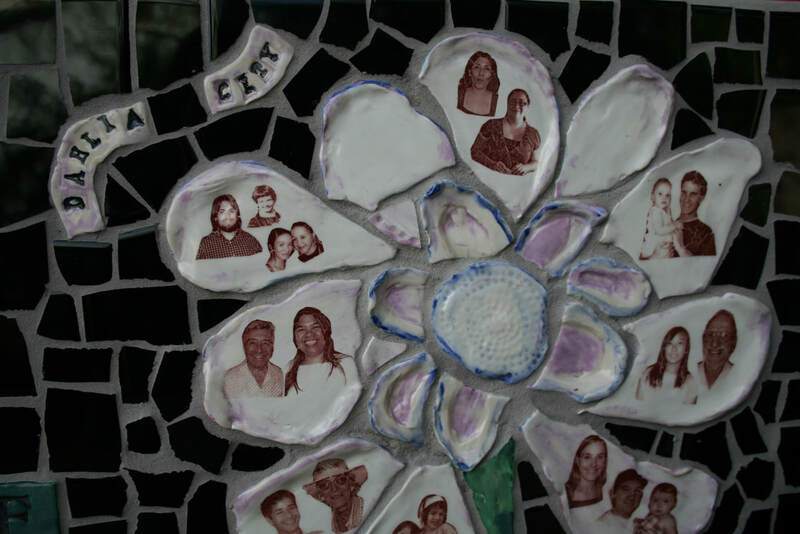 The artist bench depicts the story of this site along the Los Angeles River in tiles created by local school children and community members. 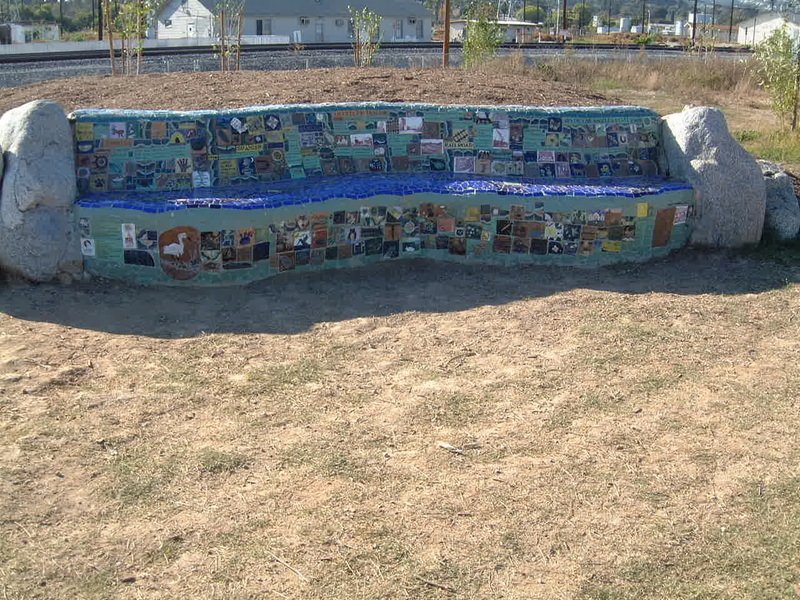 The river’s history spans eras from the Tong-va Native Americans, Spanish explorers and rancho owners, entrepreneurs, the railroad and its final transformation into a state park as a model of habitat restoration and recreation. Tiles of the riparian flora and fauna found here are also included. 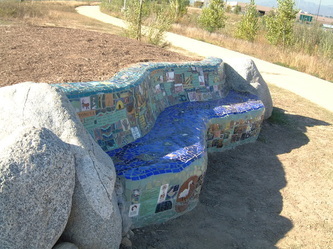 The curve of the bench mirrors the curve of the river in this area. 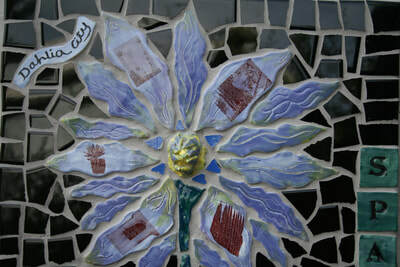 Make Art not Trash—project of TERA, ,Eagle Rock, 2009. 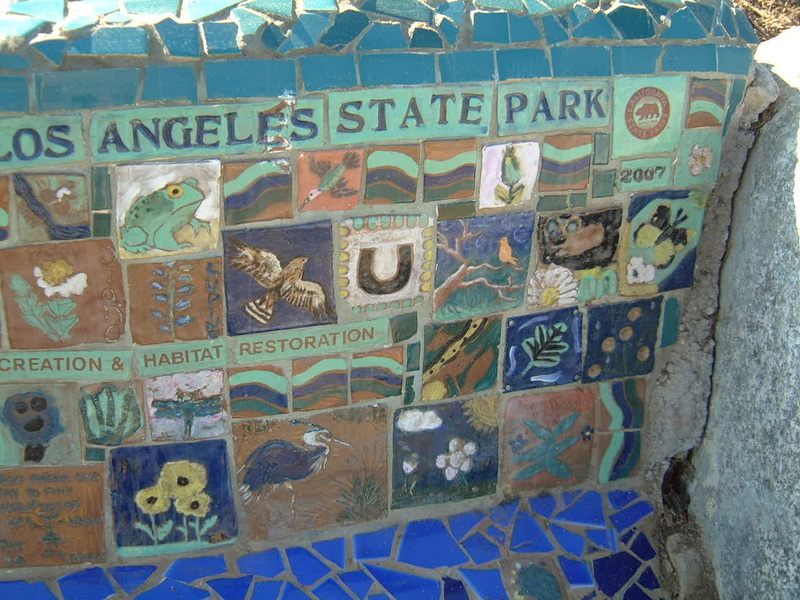 Through a grant from Los Angeles Public Works Department. 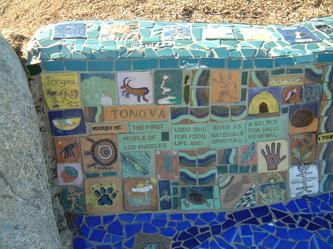 Part of a series of tiled trash containers placed on major streets in Eagle Rock, CA. At the turn of the 20th century, Eagle Rock was called the Dahlia City because of its large dahlia farms. 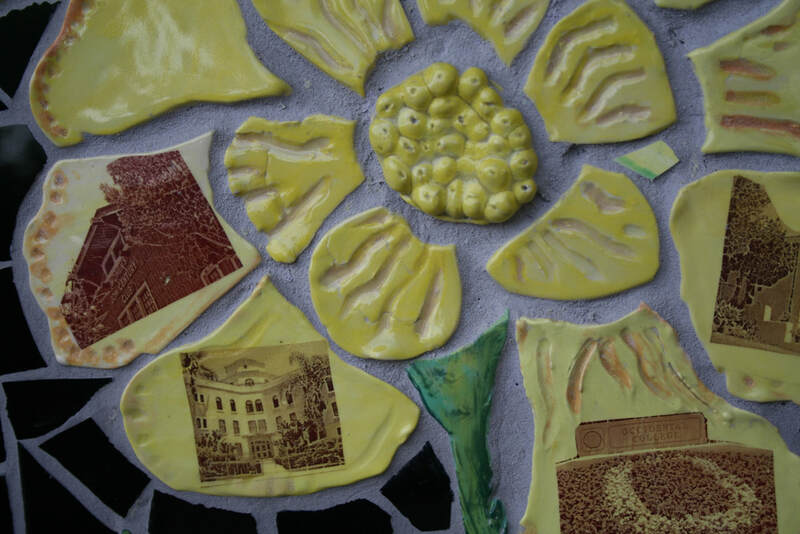 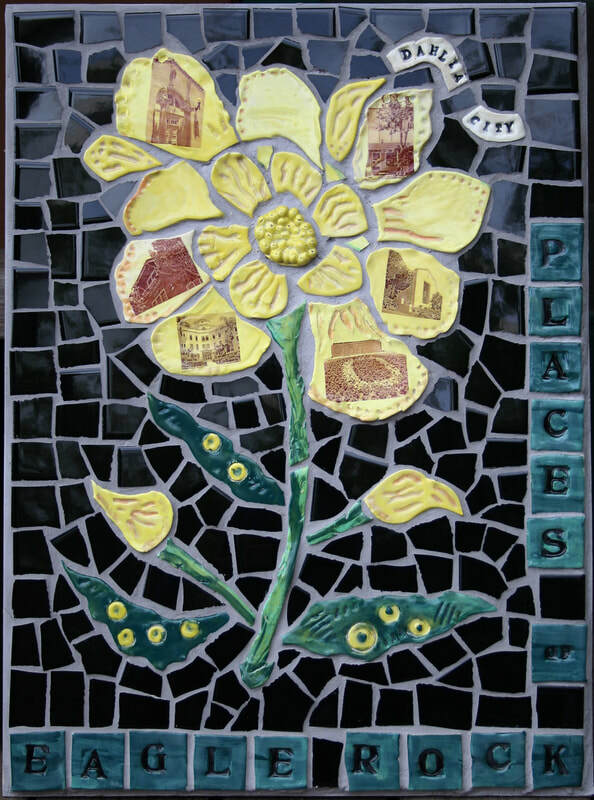 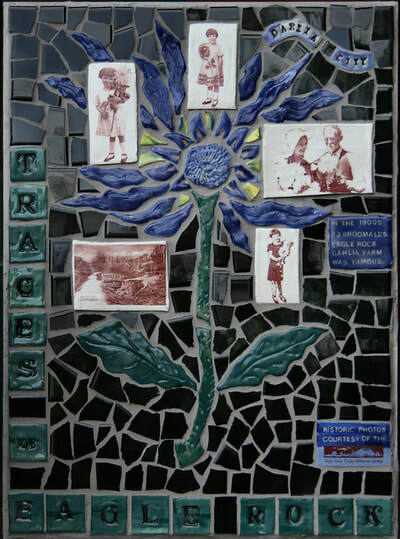 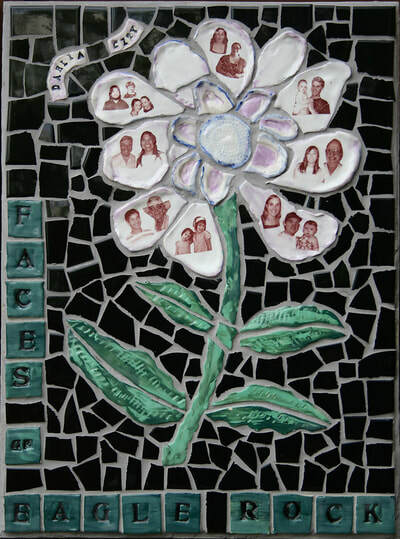 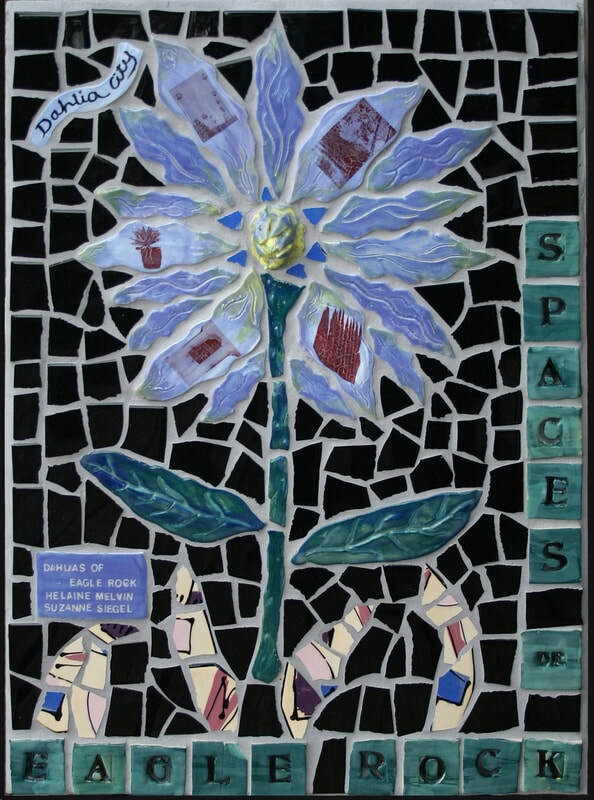 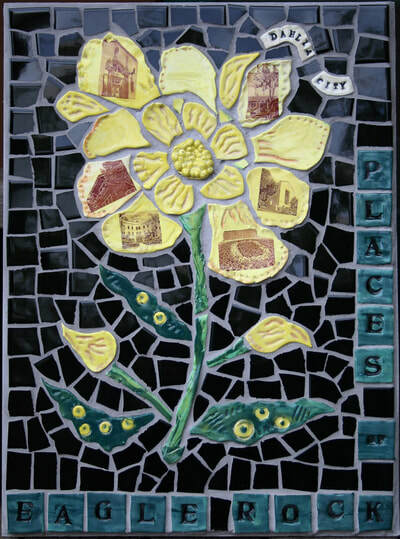 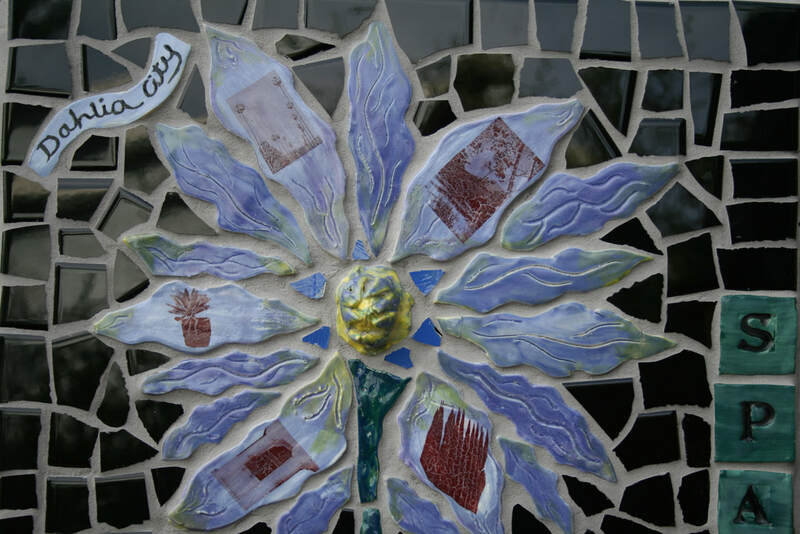 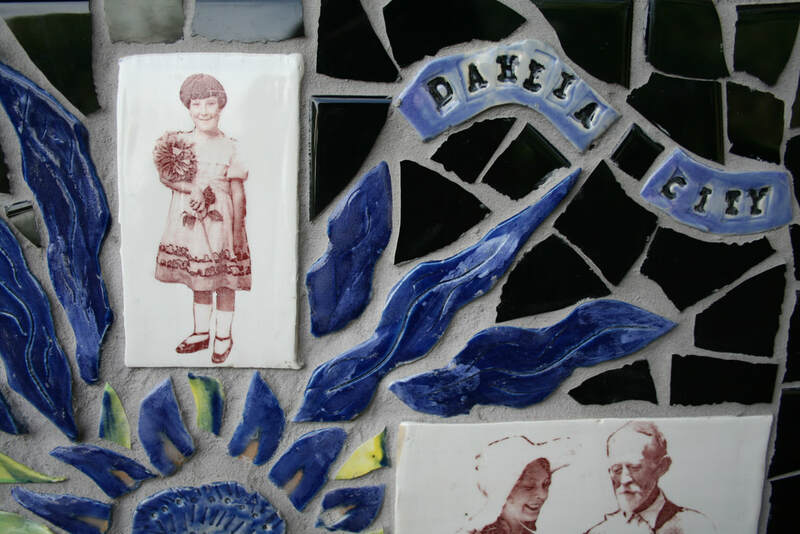 Dahlia shaped tiles show places and faces associated with historical and contemporary Eagle Rock.